A few days before Christmas, my siblings and I had our annual Christmas festivity. We eat good food, catch up, and do our Secret Santa gift exchange. But! One of the most fun part of the night is the gambling portion. 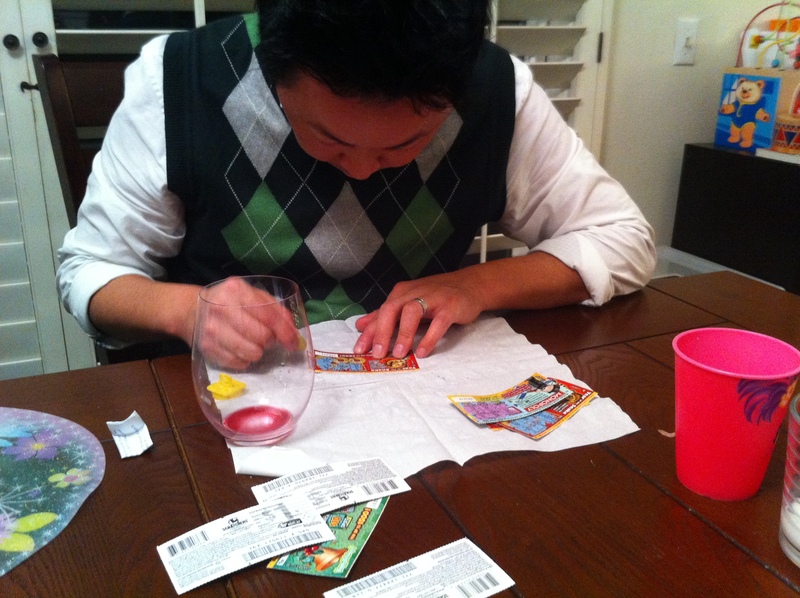 What, you guys gamble during Christmas season? Um….yes. We do! But it’s so much fun! The game is called LRC. Left, right, center. Each person who is playing the game needs to purchase three scratchers or bring three dollars. You sit in a circle and one person at random will start the game by rolling the three dice. Each side of the die has one of the letters L, R, or C and a dot. 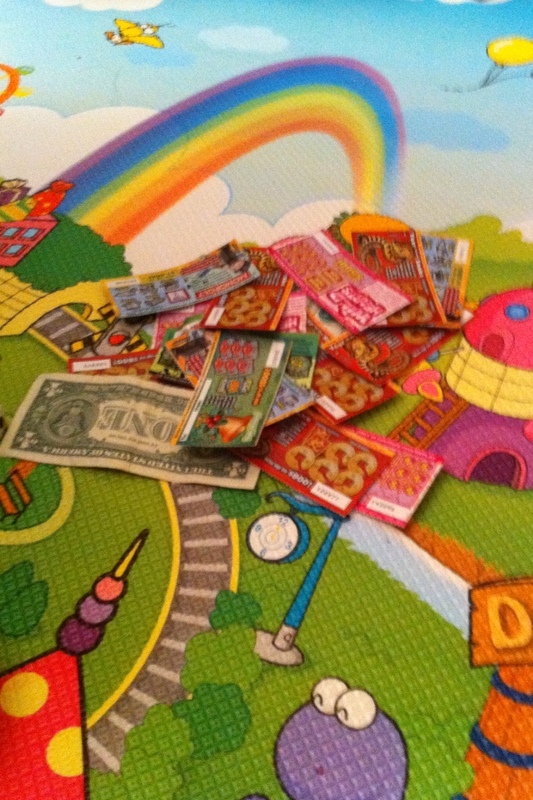 Whatever the dice rolls on then determines what you’re going to do with the scratchers/cash. The dot means that you can keep the scratcher for the time being. 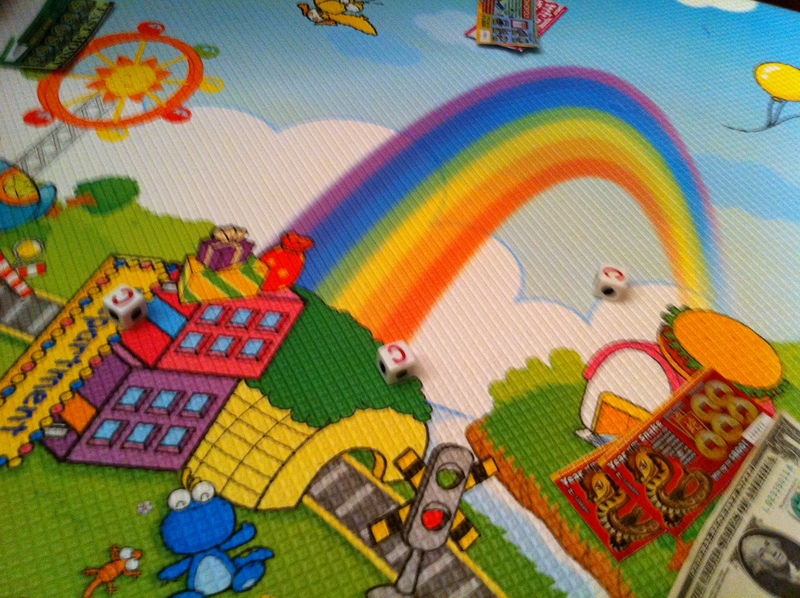 For example, one player rolled the dice and they all landed on C in the picture below. This means that the player must drop off all their 3 scratchers into the center which is the jackpot. Afterwards, the next person rolls the dice. You keep on doing this until players lose their scratchers from rolling C’s.You can only roll x amount of dice depending on how many scratchers you have. The last person standing with a scratcher wins the jackpot! The lucky winner this year was Stuart! It was his second time winning. I think he cheated somehow. I just know it… He actually has a technique of how to roll three dots at once but it ain’t true. It just can’t be. But his technique did help him win. Hm…questionable though. Again, congratulations to Stuart for winning the jackpot. He won several bucks! He basically got reimbursed!